The International Ostomy Association, an association of Regional Ostomy Associations, is committed to the improvement of the quality of life of Ostomates and those with related surgeries, worldwide. October 6, 2012 - Let's be Heard!!! World Ostomy Day will be celebrated on 6 October 2012 and the theme will be "Let's be heard!" The aim of World Ostomy Day is to improve the rehabilitation of ostomates worldwide by bringing to the attention of the general public and the global community the needs and aspirations of ostomates and their families. Activities to promote awareness around the world will include: educational programmes, seminars, support meetings and demonstrations, displays, electronic information networks, newspaper and magazine announcements, advertisements and articles, publication of informative handout materials and brochures, audio and video announcements and films, personal visits and lobbying activities, official government proclamations and joint activities with complementary agencies and professional health associations. ConvaTec have a worldwide competition where members can submit short videos promoting World Ostomy Day 2012 during the month of October 2012. You can download and find more informatin about the competion. 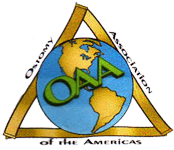 The Co-ordination Committee would appreciate it if you would send a summary of your activities for World Ostomy Day to the IOA webmaster.